Police are concerned about missing person, Christine Moore. A PSNI spokesperson said: “Christine was last seen at 8pm on Friday, February 15. 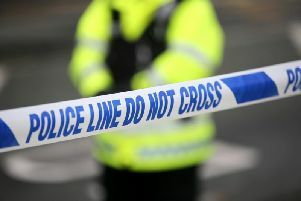 She has left her home address in Limavady on foot and was believed to be wearing black boots, and a black leather jacket. She may also be carrying a crutch. “She may have been walking on the Rossair Road or Edenmore Road after 8pm . “We are concerned about her and would like to hear from anyone who may have seen her.